To commemorate this weekend’s release of the Black Panther feature film, sneaker retailer Jimmy Jazz has teamed up with New Balance and Marvel Comics to release a killer Black Panther Sneaker Collection! This limited edition collection includes the all black 574 Sport Black Panther New Balance Sneakers and 990 Black Panther New Balance Sneakers – both inspired by King T’Challa’s stunning Vibranium suit. 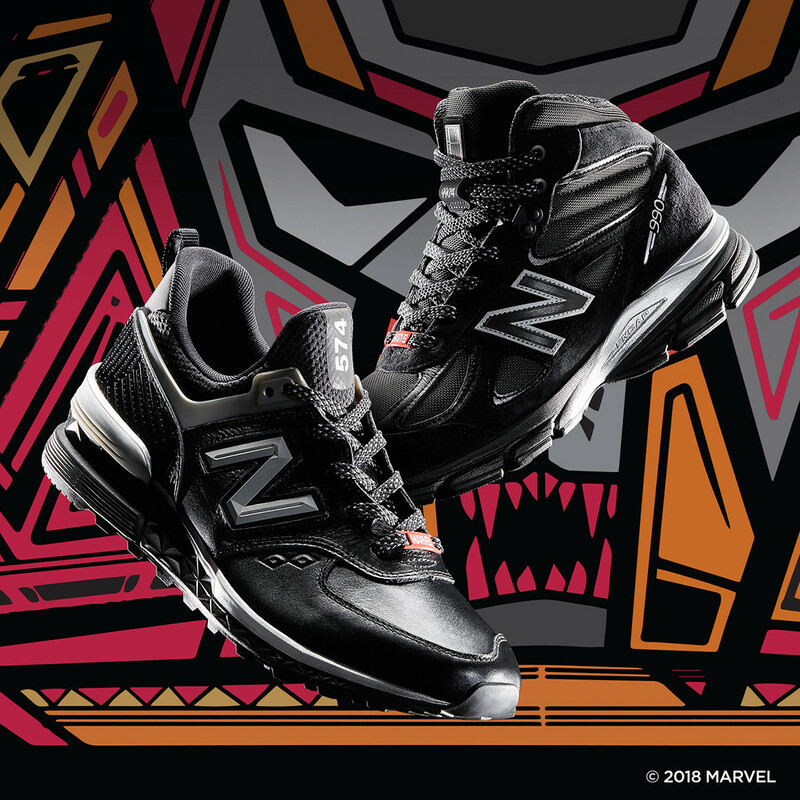 Both pairs of shoes in the Marvel x New Balance Black Panther Sneaker Collection is available now at the Jimmy Jazz online store, in a variety of sizes, for $130-200. These sneakers will be released at NewBalance.com on February 16, 2018. 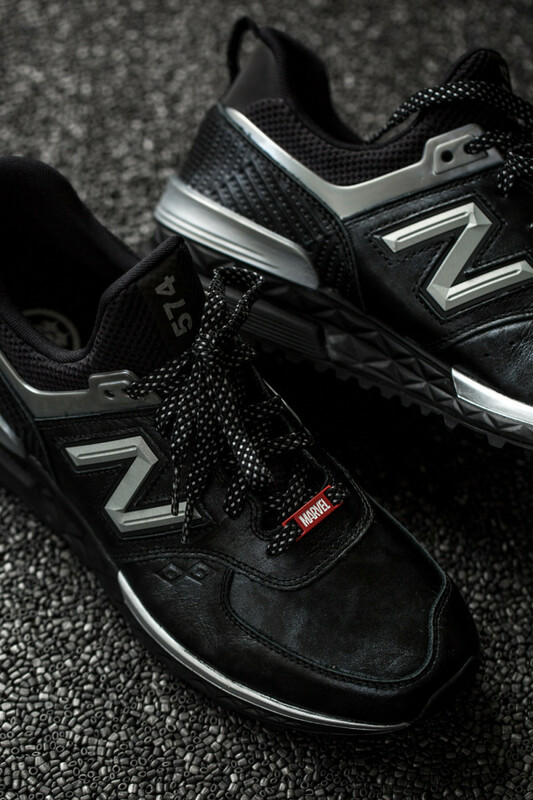 990 Black Panther New Balance Sneakers: A hero of Wakanda comes to life in the new 990v4 MID from New Balance, inspired by Marvel’s iconic character: Black Panther. This heroic iteration of the 990 features rugged leather and knit details, Marvel/Black Panther logo insoles, and black and silver metallic tones for a sleek and powerful look reminiscent of the Wakandan Vibranium suit. 574 Sport Black Panther New Balance Sneakers: Live the warrior-king lifestyle in the New Balance 574 Sport, inspired by Marvel’s iconic character: Black Panther. Rugged leather and knit materials combine with black and silver metallic tones reminiscent of the Vibranium suit, character insoles, and debossed tribal details for a style worthy of Wakandan lore.